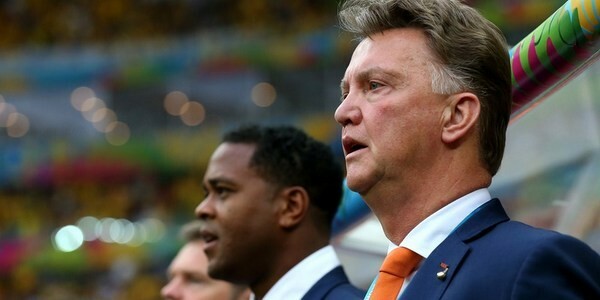 Today’s third-place playoff saw more misery for the hosts, as Louis Van Gaal’s Netherlands side handed them a 3-0 loss on the back of their record breaking 7-1 drubbing against Germany. The Scolari-led Pentacampeões again missed the creativity of Neymar and looked very flat going forward. They once again struggled at the back, but not quite scaling the calamitous heights of the Semi-Finals humiliation. The Dutch played with composure and fortitude and re-found their scoring feet after two goalless draws leading them to this game. The first 20 minutes of the game saw the Brazilian back-line apparently hellbent on a repeat performance of the Germany catastrophe, starting almost immediately with terrible defensive decisions, this time Silva even joining in with the absurdity. The Brazil captain sat on the sidelines through suspension for the Semi Final embarrassment and it was strongly felt that his absence was a large part of the disastrous buckling at the back. Brazil failed miserably at marking the Germans without the center back’s organizational influence but, with confidence crushed, even with him back in the side, a solid defensive performance was never going to be a walk in the park. Little over a minute from kick-off, Robin Van Persie brought down a Robben flick-on header and then played the ball into the winger’s forward run. The 30-year-old tore forward and Silva grabbed hold of his shoulder, bringing him down in a clear goal scoring opportunity. The referee made two mistakes in his decision, firstly awarding a penalty for a foul that was outside of the box and secondly allowing the Paris Saint-Germain defender to stay on the pitch. The correct outcome would have been a free-kick on the edge of the penalty area and a red card for the captain. Tough as it was to go a goal down so early, I’m sure Scolari would prefer that to seeing his defense attempt to struggle through without direction again. Van Persie netted the resulting penalty with aplomb to give Holland a dream start to the 3rd place play-off, and within 15 minutes they doubled that lead. After a horror performance in the previous round, the most expensive defender of all time, David Luiz, needed to turn the tides in this game but Lady Luck appeared not to be listening when he put his head on a cross into the box on the 17th minute. 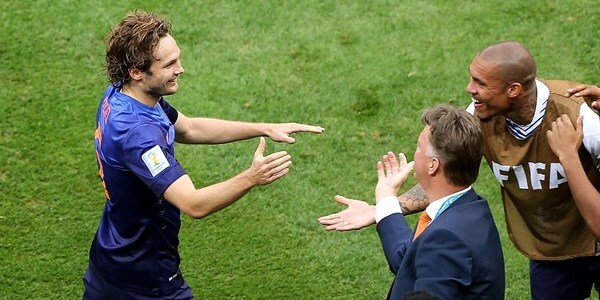 The connection wasn’t strong enough and it fell straight to the completely unmarked Daley Blind near the penalty spot. The Ajax stalwart brought down the ball with two touches on his strong foot, before smashing his right peg through the ball, firing it over the advancing Cesar and into the top of the net. The Dutchmen had preceded this game by twice going to extra-time in the last 8 days, so fatigue began to become evident in the second half for the boys in orange. This advantage was not exploited by the five-time champions though, having more possession than Van Gaal’s men but rarely looking even close to threatening. Brazil’s best opportunity would’ve come in the 68th minute but they were denied a penalty, when Daley Blind put in a late challenge on Chelsea man Oscar. The referee gave the yellow card the other way, punishing Oscar for simulation, and it was the last real chance the Brazilians would see to try and get back into this game and force extra-time. Holland even had to deal with three injuries on the day, the first of which came before the game even began; Wesley Sneijder getting hurt in the warm up and conceding his place in the line-up to Swansea’s De Guzman. Blind was carried off on the stretcher with 10 minutes left on the clock, struggling after his collision with Oscar, and then the physios were back on to carry off Feyenoord’s Jordy Clasie near the end of regulation time. Brazil’s biggest margin of loss of 3 goals had been experienced just once prior to this World Cup and an injury time goal from Wijnaldum meant they now they have fell foul to it twice in a week. The PSV midfielder began the move himself, feeding Robben on the right wing, who played into the path of Janmaat’s penetrating run. The Feyenoord full-back cut the ball back to Wijnaldum, who had ran at full pace into the box and, in current Brazilian fashion, was wide open. He connected well and put the ball into the near corner. Cesar perhaps could’ve read the situation better, but his defense completely failed to track Wijnaldum’s run and shouldn’t have left him so exposed. Louis Van Gaal capped his second international management stint with a very nice touch by bringing on the final player who had not featured at the World Cup, Michel Vorm. The Manchester United manager goes into his new role with his head held high after a successful World Cup where he led them to a very convincing qualification campaign and to 3rd position at the finals. Luis Felipe Scolari will not receive such commendations, however, with his harsh words to the media at the start of the World Cup now being used against him. Telling his doubters to ‘go to hell’ was perhaps not the smartest move in hindsight. The South American nation’s fans and media will be calling for his head after the way they crumbled in the final two games.